Call 252 522 0517 Today. See the composite photograph on page two. This is perhaps the most famous photograph taken by Master Sergeant Al Chang, United States Army, during the early days of the Korean War. 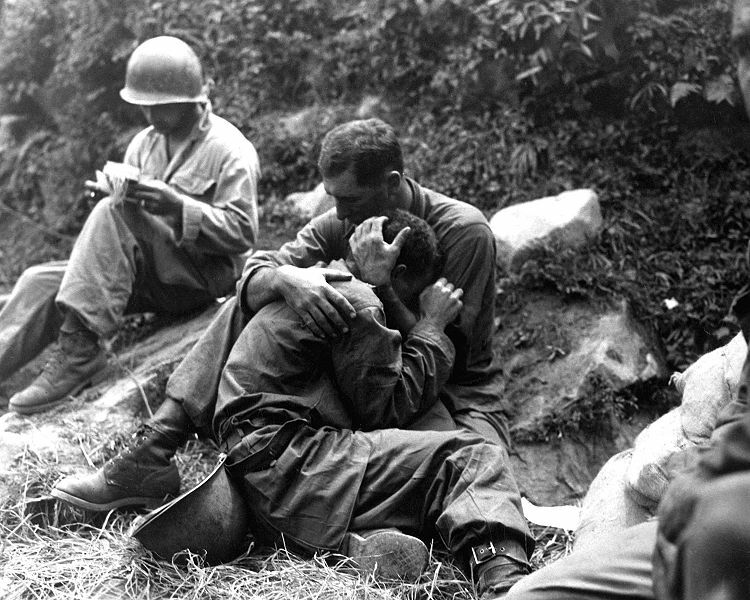 on August 28, 1950, during the defense of the Pusan Perimeter, Master Sergeant Chang photographed Master Sergeant Frank L. Chandler of the Army's 5th Regimental Combat Team comforting a soldier who has just identified a dead GI as his best friend. 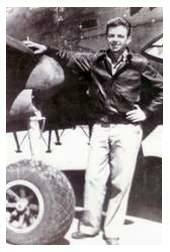 The medic in the background is identified as Corporal Joseph Villaflor from Eleele, Kauai, Hawaii. This photo was nominated for the Pulitzer Prize. Al Chang died in 2007. Many more of Master Sergeant Chang's photographs are on display at the 25th Infantry Division museum. The museum is located at Schofield Barracks, Hawaii. The Walk of Honor is a permanent commemorative walkway that is paved with bricks engraved with the names of honored men and women who have served our great country. It parallels the picturesque Neuse River as it winds its way through the beautifully landscaped Tiffany West, Pearson Parks and the Nature Center.. Sitting areas and the Memorials afford quiet places for reflection and tribute. 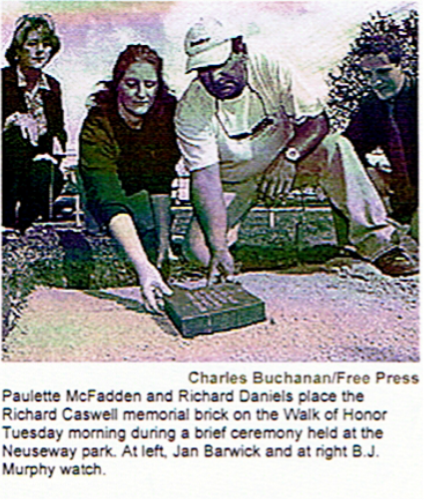 The groundbreaking ceremony for phase one of the Walk of Honor was during the month of September, 2003. On Veterans Day, 2003, veterans marched to the starting point of the Walk during the Salute! to Veterans Festival. It was officially dedicated to all the men and women who have served in our armed forces since the birth of this nation. Phase two of the Walk of Honor was begun on April 28, 2004. This phase overlooks the beautiful Neuse River. 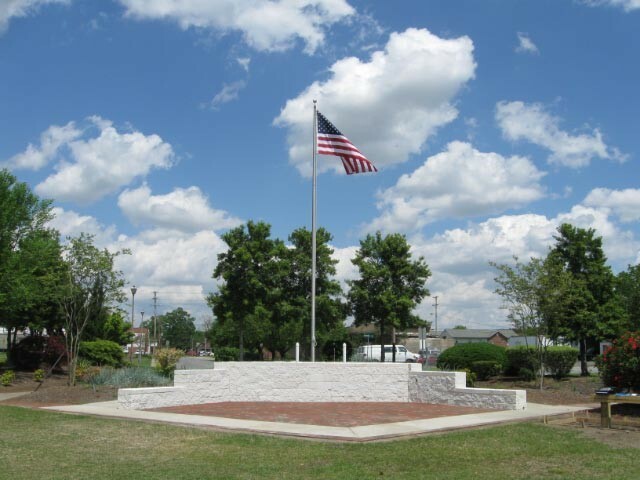 One section of the Walk surrounds the CSS Neuse monument and is reserved to honor individuals who served during the Revolutionary and Civil Wars. The third addition to Walk took place in November 2005 with construction of the Vietnam Memorial. This Memorial contains engraved bricks for the twenty-three soldiers killed in action during that war. On December 14, 2005, Last Firebase Veterans Archive Project, original builder and owner, donated the Walk to Salute! A Tribute to America's Veterans. Groundbreaking for Phase Four was held on May 27, 2006. This phase, is named the 911 Emergency Services Memorial. It is dedicate to those personnel who were killed on September 11, 2001. It honors those individuals who have served or are serving in any organized emergency service, such as law enforcement, fire fighting, rescue and emergency services personnel. It was completed and dedicated on September 11, 2006. During March and April of 2009, this Memorial was completely rebuilt. The picture in the upper right hand corner of this page reveals it's new beauty. In May 2007 two six by eight feet additions were added to the military section of the Tiffany West Walk. One was dedicated to family of Henry Blizzard. The family honors sixteen of their family who have worn the uniforms of this nation, beginning during the Civil War and ending in 1974, 116 years. 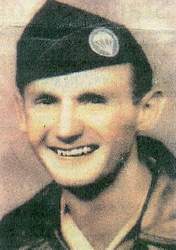 The other is honors the Korean War's "Killed In Action" and Steven Jewell who was killed Iraq. 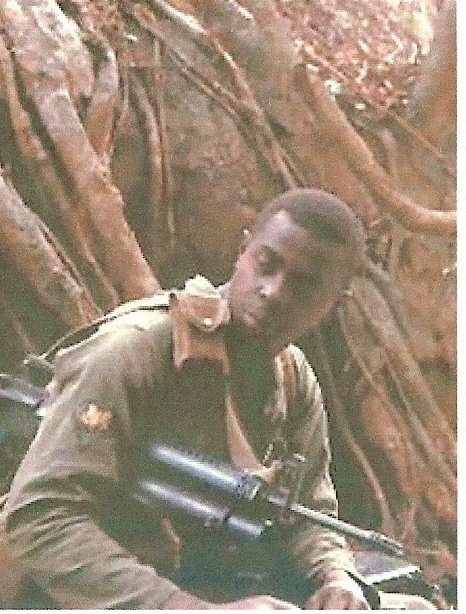 He is the only person from Lenoir County killed in action since the Vietnam War. 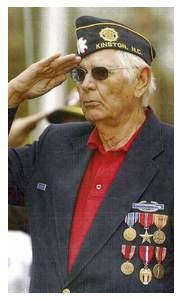 This Walk of Honor web site contains an online archive of all honorees, along with biographies and photos when available. The website also details news and information pertaining to the Walk. For information on how you can help build the Walk of Honor, click on "how you can help" (upper right). 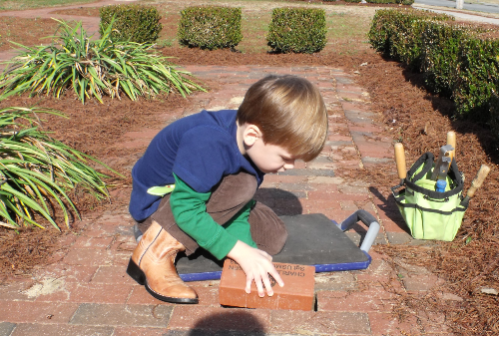 All funds received from brick sales are used only for operation, maintenance and development of the Walk of Honor. Copyright 2003, Salute! A Tribute to America's Veterans, All Rights Reserved. Will Andersen is planning a surprise for his father.